Orientation Half Day (15mo-3yrs): 8:00 a.m. - 11:30 a.m.
Orientation Full Day (15mo-3yrs): 8:00 a.m. - 2:30 p.m.
Primary Half Day (3-6 yrs): 8:00 a.m. - 11:45 a.m. Elementary and Middle Years: 8:00 a.m. - 3:30 p.m.
After School: Until 5:30 p.m.
Curriculum: St. Stephen's Episcopal School delivers two exceptional academic curricula. 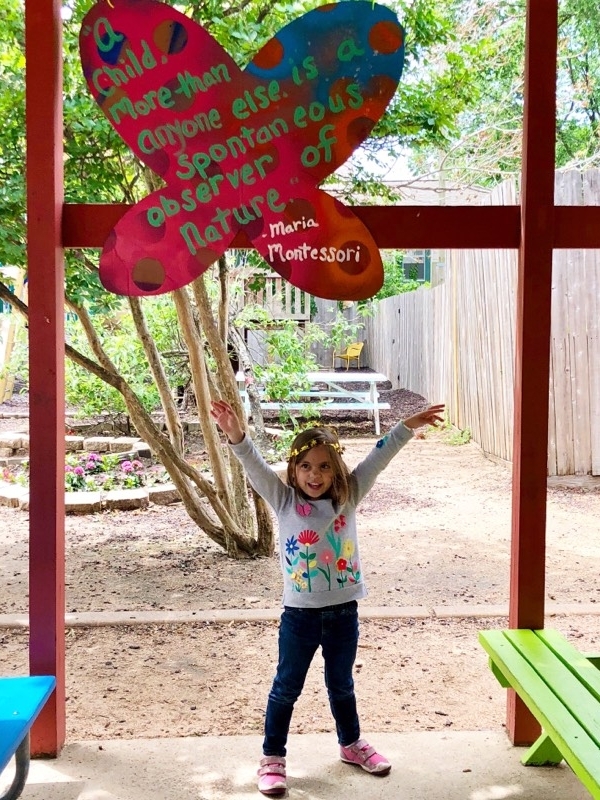 For our students 15 months through 6th grade, we follow the Montessori philosophy and pedagogy. For our students in grades 7 and 8, we use the International Middle Years Curriculum, a dynamic and concept-focused research-based program intended for adolescents. St. Stephen's promotes project based learning, a strong sense of community and self, small and large group instruction, leadership and inclusion. Visit our Montessori and International Middle Years pages for more information. Testing: St. Stephen's assesses student growth constantly using a variety of tools such as portfolios, student records, observations, scope and sequence charts, as well as informal in-class assessments. These informal assessments are used by teachers to document student growth. For required standardized testing, SSESH administers the IOWA Assessment to all students in grades 2 through 8 in the spring. The Iowa Assessments help determine how students are performing on nationwide standards. These assessments measure achievement in several important content areas including Reading, English Language Arts, Mathematics, Science, and Social Studies. The exact tests that your student takes will depend on his or her grade level. All test questions are multiple choice, and each individual test lasts between 10 and 35 minutes. The Iowa Assessments also measure student growth and progress in the content areas assessed from year to year. The results produce information that enables sound decision making and provides a focus for teachers to evaluate instruction. Parents will also receive copies of their child’s scores. Accreditation: St. Stephen's Episcopal School is accredited by the Southwestern Association of Episcopal Schools, American Montessori Society, and the International Middle Years Curriculum.